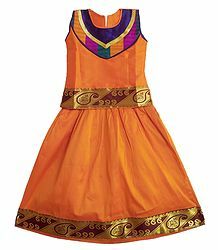 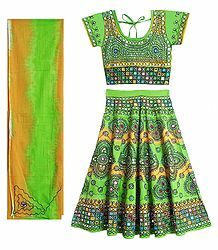 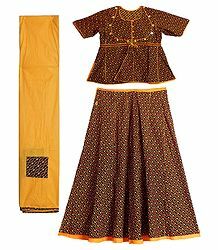 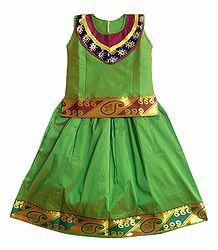 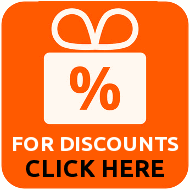 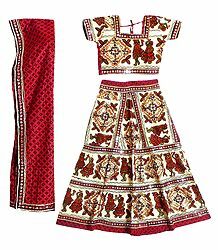 We are Offering ornamentally embroidered ghagra and cholis.The Indian ghagra cholis with their glittering mirror work is the most attractive. 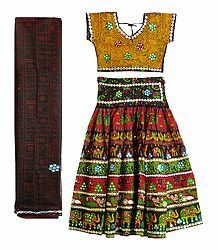 Ghagras are gathered ankle-length skirts secured around the waist. 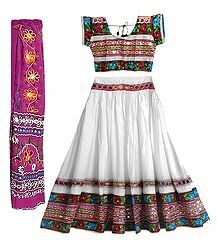 The Indian ghagra choli is extremely colorful, adding colour to the surrounding landscapes. 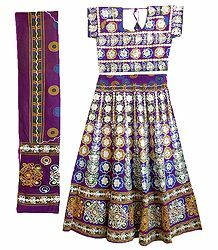 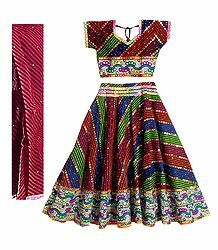 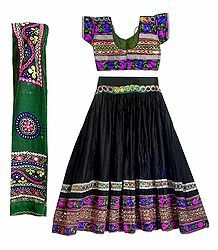 Embroidered Indian ghagra choli is quite famous round the globe. 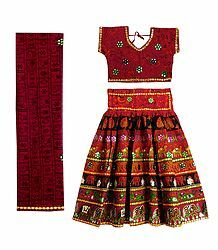 It is one of the oldest form of Indian ghagra choli developed since the times of tribals and nomads of ancient times. 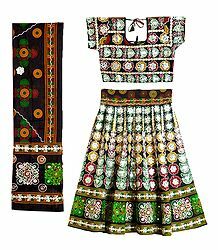 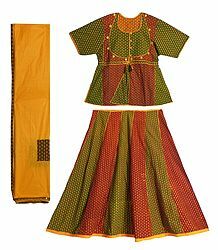 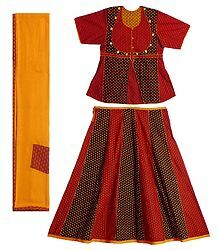 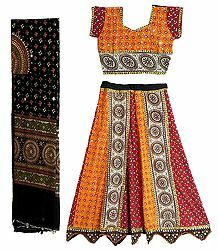 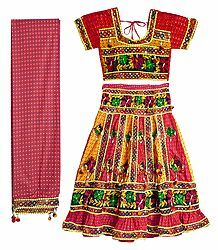 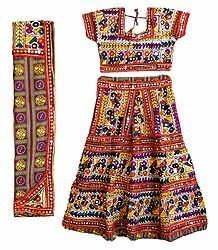 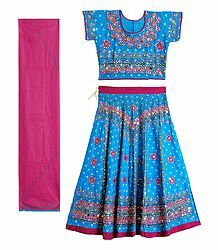 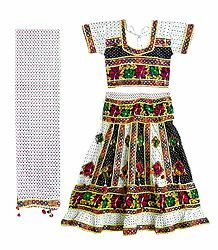 The traditional dress for women in Rajasthan and Gujarat is the ghagra choli.